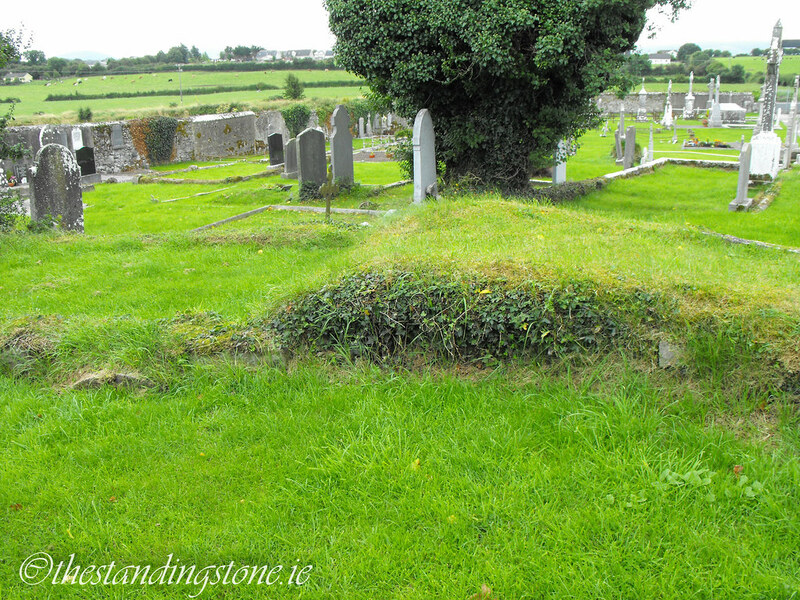 The Standing Stone: Lisbunny, Church, Co. Tipperary. 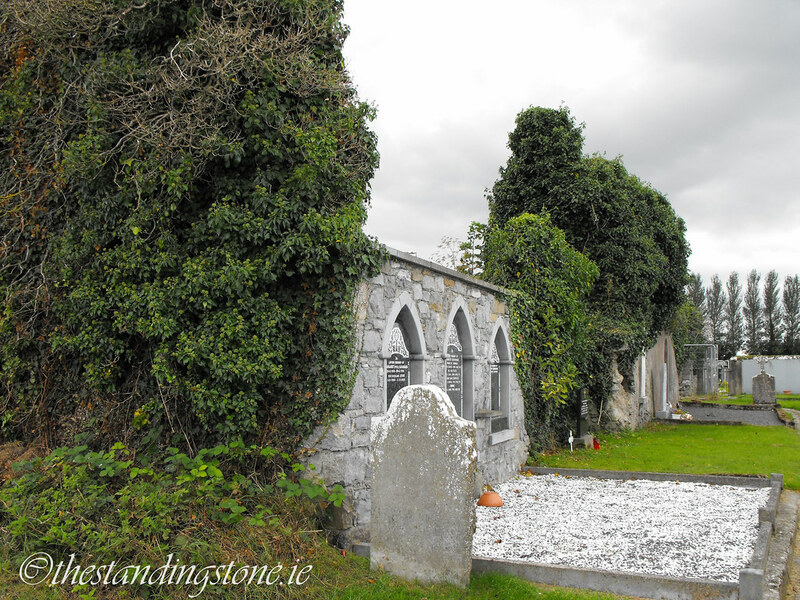 Location – On the R445 as you approach Nenagh from the E, located in a large graveyard. 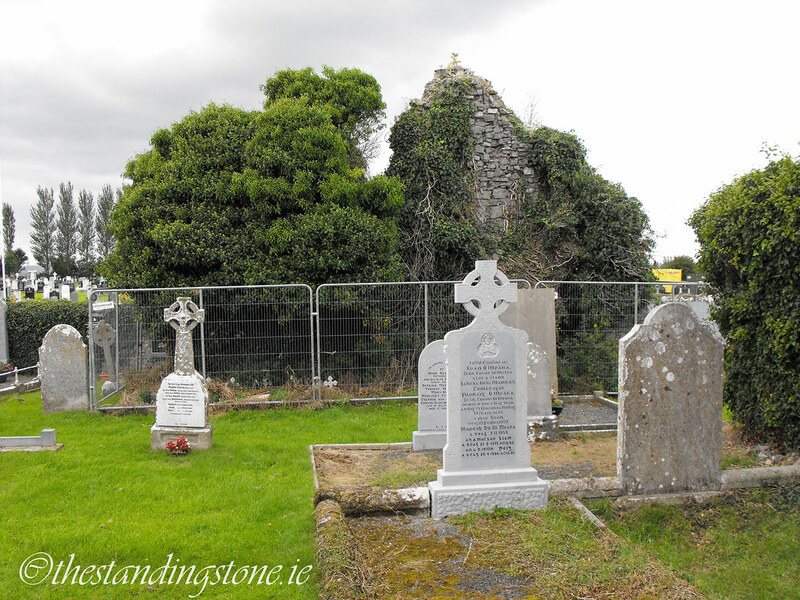 Description and History – Located about 100m S of the Ollatrim river and within sight of a nearby hall house this church is in a very ruinous state. 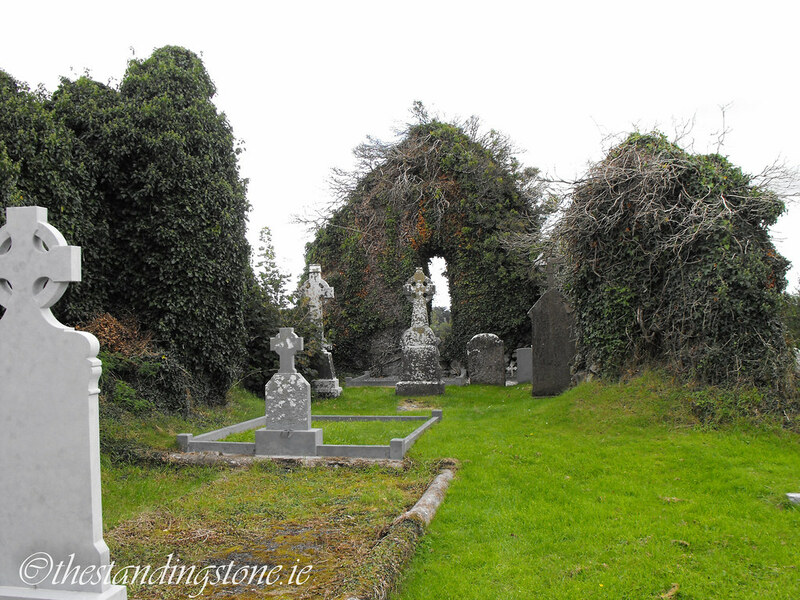 It was listed in the ecclesiastical taxation of the Diocese of Killaloe in 1302 and was later listed as a ruin during the Royal Visitation of 1615. The S wall of the nave had been completely destroyed and a modern concrete monument seems to be holding up the NE corner of the present ruins. The W gable end is near collapse and has been fenced off and classed as dangerous. A small ridge is all the remains of the dividing wall between the nave and chancel. The church would have been quite impressive in its day and is 25m in length and 9m wide. The hole for the piscina still survives in the remaining portion of the S chancel wall. From the remaining ruins it is hard to determine when this church was built. From the remaining window spaces it appears to be a 15th or 16th century medieval church but more than likely built on the site of an earlier Romanesque church. I drove by this site again a few years after this original post and saw that much of the ivy has been cleared away. I intend to return to the site to get updated pictures. 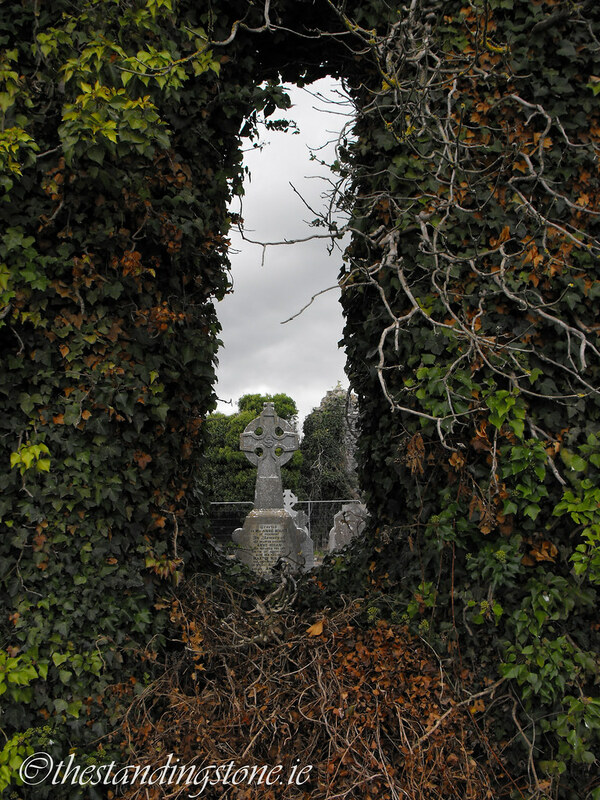 Difficulty – This site is easy to find and can be accessed through the modern graveyard. Some of the remaining structure just shows up as wall-footings in the grass.